Here are 6 of my favourite products, that I have repurchased countless times and will continue to repurchase because they are so amazing! I don't usually like to buy the same product twice unless I really love it because there are so many makeup items around why not try all the ones I get the chance too! However, these are the items that don't apply to that rule! 1: Rimmel Wake Me Up Foundation! This is a foundation I always turn back to! If I am having a bad makeup day and nothing seems to be going right I can always rely on this. I have used this for multiple years and it is still just as amazing. 2: Maybelline Master Precise Eyeliner! This is the only liquid eyeliner I use! It is beyond amazing and always impresses me. It is also pretty easy to apply, so that's a bonus. 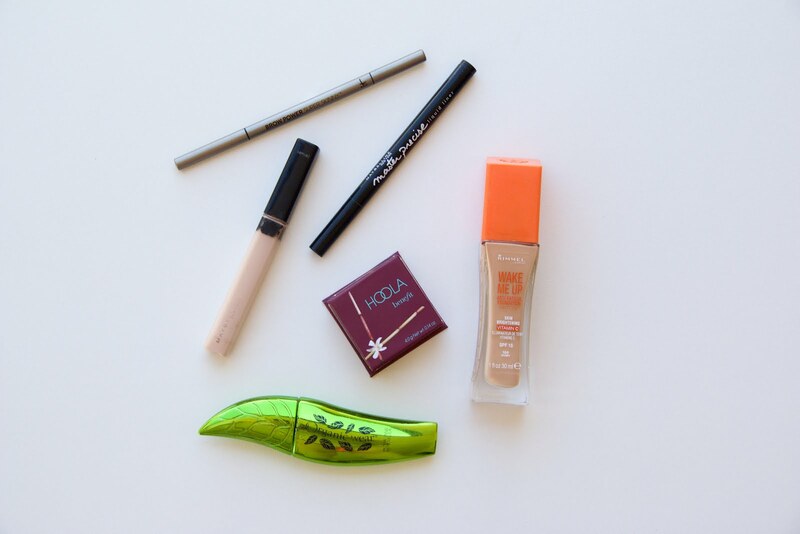 3: Maybelline Fit Me Concealer! I am looking for this at the moment, however my shade is always sold out! I may just have to order it online. I have been through this concealer so many times, it is the best concealer I have tried. 4: Physicians Formula Jumbo Lash Mascara! I love this mascara and will be repurchasing a new one soon. If you have read any of my blog post you may have heard how much I adore this mascara! 5: Benefit Hoola Bronzer! This is cheating a little because I am yet to repurchase this product. However, as soon as I run out of the mini version I will be upgrading to the full sized product! 6: IT Cosmetics Brow Power Super Skinny! This is now my all time favourite eyebrow pencil! I need to buy a new one now, as this one is starting to run out! I hoped you enjoyed reading about the products I will always go back to and repurchase! These are such lovely makeup items. I couldn't see my little collection without them in it! If you haven't tried any of these I highly recommend them all! What product have you repurchased the most? Do you like to repurchase items?